AAUW Seattle will be awarding half- to-full-tuition scholarships (maximum of 2) to women graduating from North Seattle College, Seattle Central College, or South Seattle College and transferring to a WA State public, 4-year college/university. Priority will be given to applicants with demonstrated financial need and clear educational goals. Selection will be based on academic potential and need as determined by the Scholarships Committee of AAUW Seattle. Awards are renewable with evidence of academic good standing. and from the financial aid offices of North Seattle College, Seattle Central College, South Seattle College, and the Seattle and Bothell campuses of the University of Washington. 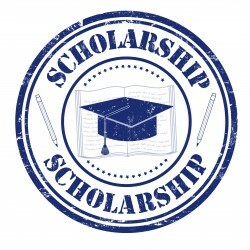 The scholarship is for study at the undergraduate level only, Scholarships are paid directly to the institution after verification of acceptance of the recipient, The scholarship is for use in the year in which it is awarded. Scholarships are drawn from AAUW Seattle’s Dr. Winnifred Weter endowed fund.